Edible Arrangements®, the fresh fruit festive franchise, is expanding in the Burlington area. April 2011, Terry and Kathleen and their daughter Kristen took on their third Edible Arrangements location. 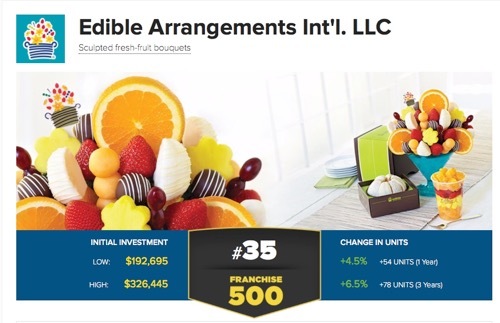 The Jenkins took ownership of the Edible Arrangements store located at 2440 New St, Unit 5 in Burlington, Ontario, Canada (905-634-0620). Terry, Kathleen and Kristen also own Edible Arrangements stores at 6B-575 Ontario Street South in Milton (905-636-0844) and at 1500 Upper Middle Road West, Unit 4 in the Abbey Plaza in Oakville (905-847-8533).